It’s true – the yearning to go home after a tiring day or a long vacation is insurmountable. Your personal space that speaks about your personality, the curtains and furniture that you choose with careful consideration, the books and music that you’ve collected over the years, and the closet that you neatly stack with clothes of your taste. Even though we love the warmth of our homes, we never give a thought to making our bedrooms as opulent as a 5-star hotel room. 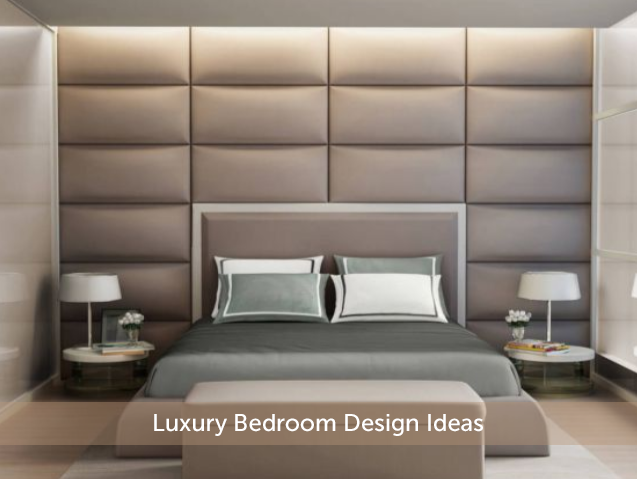 It may sound like a long shot but guess what, it’s actually a realisable dream with these luxury bedroom design ideas. Ever wonder what makes a hotel room smell pleasant for your entire stay? It’s the magic of faint air fresheners that diffuse light and aromatic fragrances in the atmosphere. 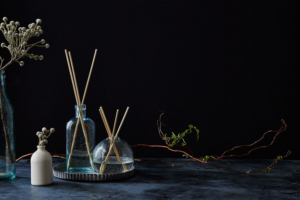 Bring home scent diffuser sticks, place it in a ceramic pot and add a few drops of essential oils. You will be surprised with the calming effect it has on your senses. Moving ahead, add a touch of marble to your room. A small foot rest, a marble encased wall mirror or a table-top will certainly add style and sheen. For your windows, drape them with layered curtains of different colours – preferably one with a bold colour, pattern or fabric. Try different pleats to see which one best suits your window. 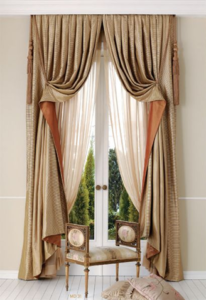 Adding a gorgeous, pearly curtain binder will work wonders for the whole look. Replace your old bedside lamp with a modern, stylish lamp and see how it instantly lifts the elegance quotient of your room. 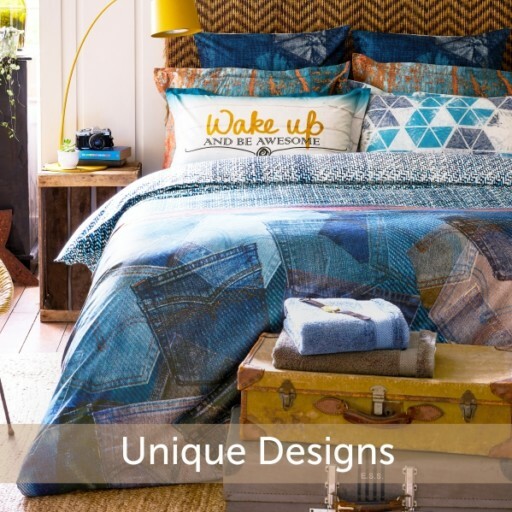 When it comes to your bed linen – have no qualms about investing in the best of the best. Choose a bed sheet set with royal colours such as royal blue, deep maroon, mild pastels or off whites with golden prints. Don’t forget to check for the material and the thread count because it matters in the long run. 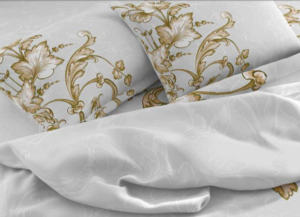 Note – Bed linen with higher thread count tend to last longer and retain their quality with minimal care. Carefully pick covers for your cushions – they must go with the colour palette you have chosen for the curtains and bed sheets. Add a little bling, and look for simple patterns that will accentuate the theme. Cushions are meant to support your body so they should be just the right blend of soft and bounce. A little bit of automation will only make your life easy. You can install a home automation system which lets you control all your electrical appliances with a single device or maybe even gestures. So while you’re reading your favorite book in the day and feel sleepy, a single tap or touch can just close the blinds as you take a sweet nap. Automation is best experienced in your bath, which is equally essential to your comfort. Apart from that you can hand-pick the softest and plushest body care elements for yourself. So indulge in a king-like bathrobe that will hang with pride in the bathroom. 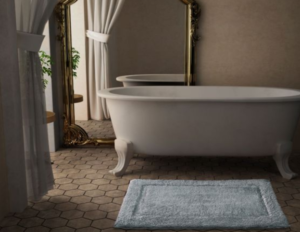 To complete the 5 star feel, bring home a large bath mat that takes care of drying your feet when you come out of the bath. Go ahead, turn your bedroom as luxurious as a multi-star hotel room and revel in the comforts – because you deserve no less.